Kitchen-geeks from all around are having a field day because Pan Eurasia is treating us to a summer sale. Get discounts from brand Dowell, Moulinex, Krups, Omron, Tefal, Thermos, Sharp, and more! 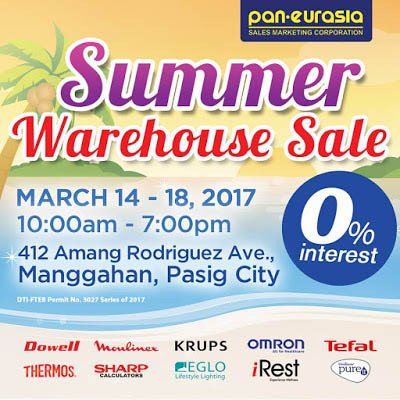 The sale runs from March 14 to 18 at Manggahan, Pasig.